The car is coming alive in the race. I know I might sound very optimistic but I have hope. 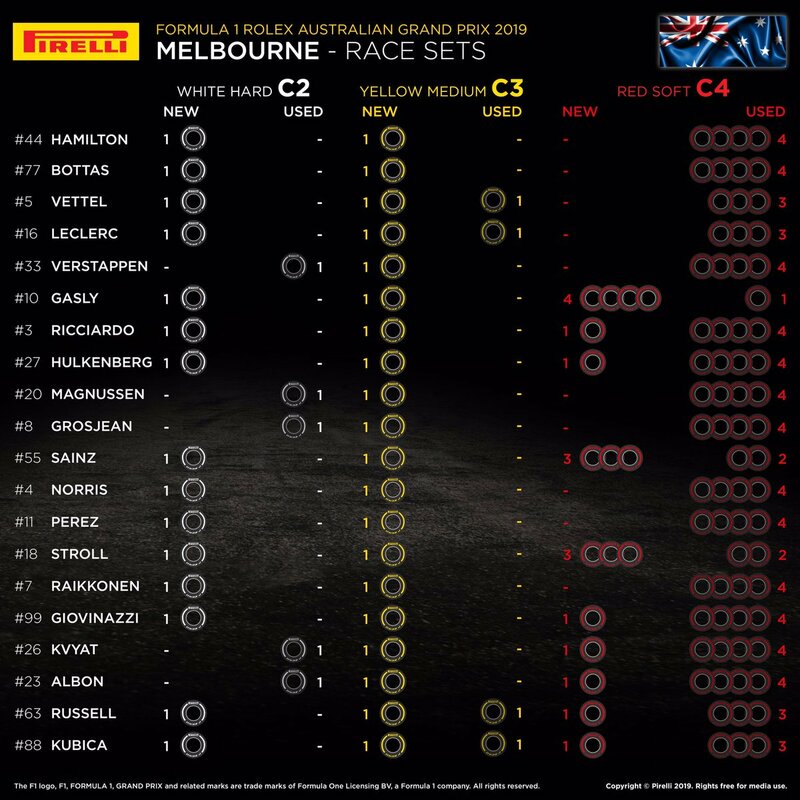 Merc have to be careful max will try and slice 3 top cars will be interesting . It sounds like a general "Team Order " Merc and Ferrari need to move over and let Max pass! Then just hope he DNFs on his own. Max is just going to try to win, Seb should try it also. Save that front wing ! Even if it means not finishing in 1st. place; just don't sound like racing. I just hope both of the Ferrari guys have a clean race. 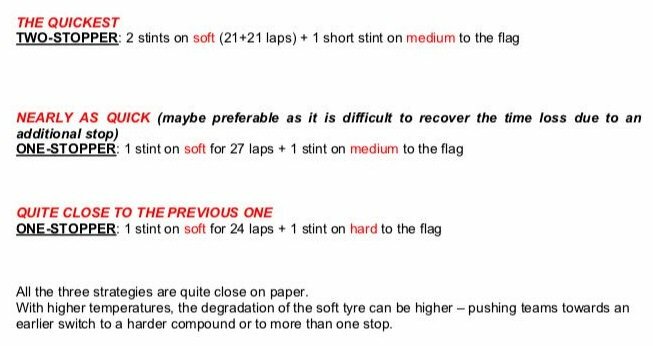 Turn 1 is critical wider front wings they can get clipped ever so easy any driver that is aggressive could come of 2nd best hero or villain lets see. Anyone catch the youtube live parade lap??? Yes didn't vettel just say he still has balance issues and is expecting a tough race? Is he playing mind games now? Loved those vintage F1 cars next to the safety cars. Good morning! Hope I did not wake up early for nothing! I don’t want to keep any hopes. Maximum P3. anyone know what compounds were used here, i forget. is it c4 c3 and c2?